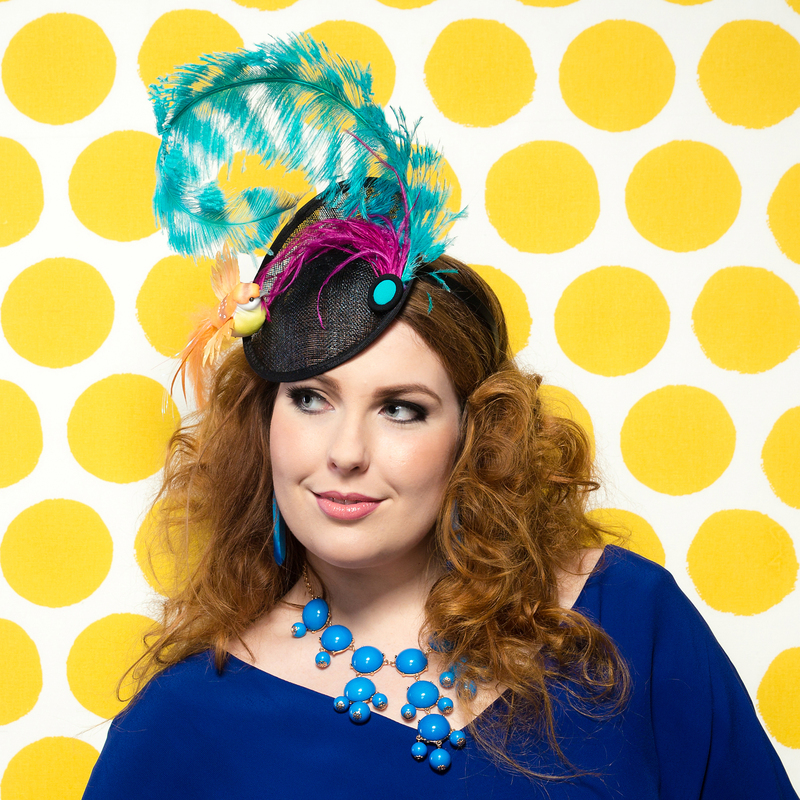 Suzie is wearing the Flutterby Fascinator in hues of turquoise, magenta and orange set on a classic black base. Why not have a bit of fun with your headwear for the races?? It matches back perfectly with the Mia Day Dress in COBALT.